After a year of pitching, developing, writing and shooting, a brand new slate of 21 London Calling short films have been brought into the world. Revealed at an evening awards ceremony at the BFI Southbank on 8 September, three projects were celebrated as the award winners: for the first time in the scheme's history, the London Calling Award Jury was split down the middle, and decided to jointly award the title to Wren Boys and Fighter, while the London Calling Plus award was given to Kara. London Calling and London Calling Plus serve as essential support schemes for the capital's most exciting emerging filmmakers, giving them finance and support to produce their short film ideas. This year's slate offers a varied selection of voices and stories, with subjects ranging from existential 3D animation and wargaming societies to a bored teenage vampire and family crises. Joint-recipient of the London Calling Award is Fighter; a tense, visceral short from director Bugsy Riverbank-Steel which gets up close and personal to a boxer with Down Syndrome as he fights for his right to enter the ring. Jury members described the film as an "unusual story that challenges one's presumptions and asks questions about freedom and control". 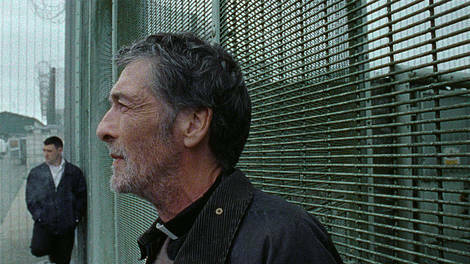 Fellow winner Wren Boys, from writer-director Harry Lighton, is a "truly engaging" drama following a Catholic priest as he escorts his nephew to prison. This year's DoP Award for best cinematography, supported by Panalux, was awarded to Fighter. For his "superb, cinematic" visual style, Fighter's Director of Photography Jann Döeppert will receive £10,000 worth of equipment hire towards his next film. Winner of the London Calling Plus Award, which champions black, Asian and minority ethnic (BAME) filmmaking talent, is Kara, the moving short from writer-director Deepa Keshvala which looks at the relationship between a young art student and her estranged alcoholic father. As award-winner, Keshvala has earned the amazing opportunity to join Harry Potter and Fantastic Beasts director David Yates on set of his latest production. Yates describes the short as "a near perfect study of a relationship between father and daughter," adding that "Deepa delivers a story with insight and honesty and an eye for emotional detail that is both special and rare." The feted director concludes that Kara is "a terrific film from a gifted filmmaker with a very bright future." Adrian Wootton, Chief Executive of Film London and the British Film Commission, said: "Short films are a vital calling card for every writer, director and producer, so we're proud to support so many of London's most exciting emerging filmmakers through London Calling. In recent years our shorts have screened and won awards at festivals like Berlin, Toronto and Sundance - proof of the enduring creativity of London's filmmakers and the power of our short films to reflect the tremendous diversity of the capital's many communities and cultures." There is an opportunity to see a selection from the 2017 slate in a special London Calling programme during the BFI London Film Festival on 12 and 14 October. Harry Lighton's Wren Boys, described by the jury as "genuinely surprising, real and unique", also screens as part of the Short Film Award Programme 1 on 14 and 15 October. If you can't wait that long, we're hosting a new Vimeo channel to showcase the best of our past London Calling productions, which include shorts made by Riz Ahmed and Spaceship director Alex Taylor. London Calling and London Calling Plus are supported by BFI NETWORK, Creative Skillset and London borough partners Lambeth, Redbridge, Southwark, Waltham Forest and Wandsworth. The Awards are also supported by Performance Film and Media Insurance, Panalux and Moneypenny.